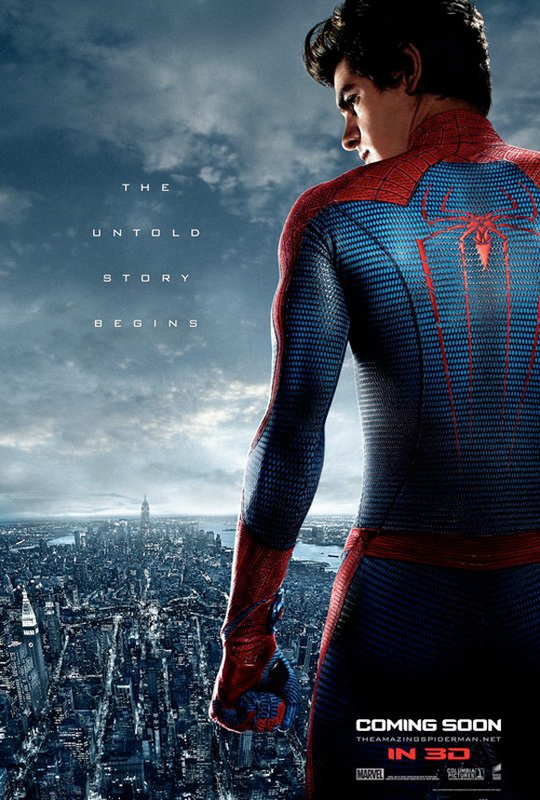 Yesterday, the four-minute "super preview" for The Amazing Spider-Man showed an impressive action sequence that had the perfect tone and style for the character, and yet still managed to distinguish itself from Sam Raimi's film adaptation. Every bit of footage has been quite impressive, and the posters promoting the film (we've already seen some stellar one sheets) just continue to look sleek and stylish. Now we have two more with the same style as the others, but one poster uses the POV, video game-esque shots that were prominent in the first trailer (and even in the most recent trailer) and the other just looks good. Let's reserve the word "impressive" for things that actually leave a long-lasting impression. They look like movie posters. Lets reserve the "overly-critical-word-policing" for anywhere else but here. His use of impressive neither has to be justified or explained as he is the articles writer. They are impressive. More so than your comment at least. Like in the videogames, where the strings are attached to the sky.. I like them. And the spider-shaped streets are always awesome. Your face is not very impressive. Ooohhh... You got me good there. I like the first one. Gonna watch this just because spideys personality seemed to be very close to the one he shows on the comic book. Other than that im a huge fan of Raimis version. In the comic book Peter Parker was a loser, not just a normal loser but the loser you would want to beat the crap out of. If this isn't portrayed then I have no hope left in marel comic movies. And also if the lizard kills himself like the villain has done in every single spiderman movie in the past I will be pissed! Killing of the villains is so not needed to have a fulfilling ending. I don't know.. I'm still kinda offended that the remake is being released so soon after to the Raimi trilogy. I'm with ya brother, but I tried to watch the first Spiderman the other day again, and while I enjoyed it when it was released and thought it was the best film ever, it has not aged well. I'm looking forward to a more contemporary approach. To stay on topic the poster look OK. I agree with Gunhed though.. where the heck are those webs attached to? Perhaps a helicopter? 😉 the visual of it still looks cool though. geographically, it doesnt make much sense. 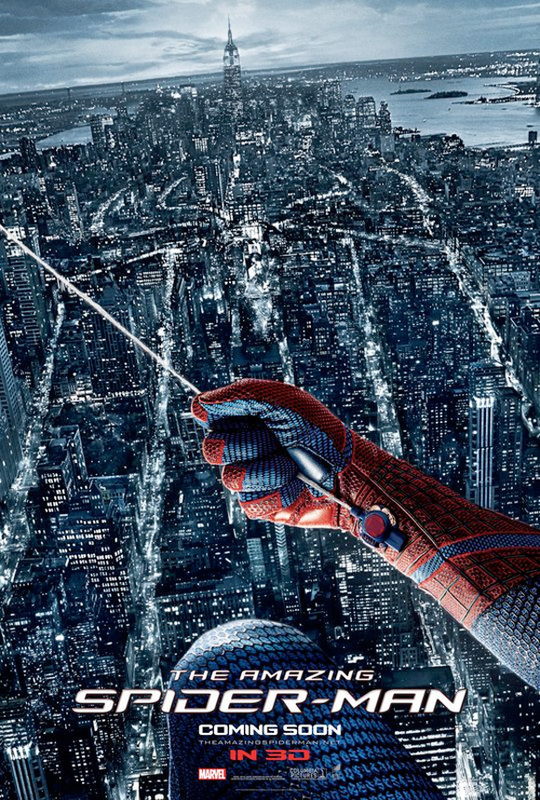 But stylistically is makes sense in that they want to get the spider image overlaid on the cityscape for the poster. The first one looks so stupid. didn't they do the city outline thing in Dark Knight Rises already?